Some people’s precious chicken nugs could have more ingredients than they bargained for. On Thursday, Perdue Foods announced a voluntary recall of nearly 70,000 pounds of its frozen, gluten-free nuggets, over concerns they might have been contaminated with wood. The recall will affect nuggets sold across the country. 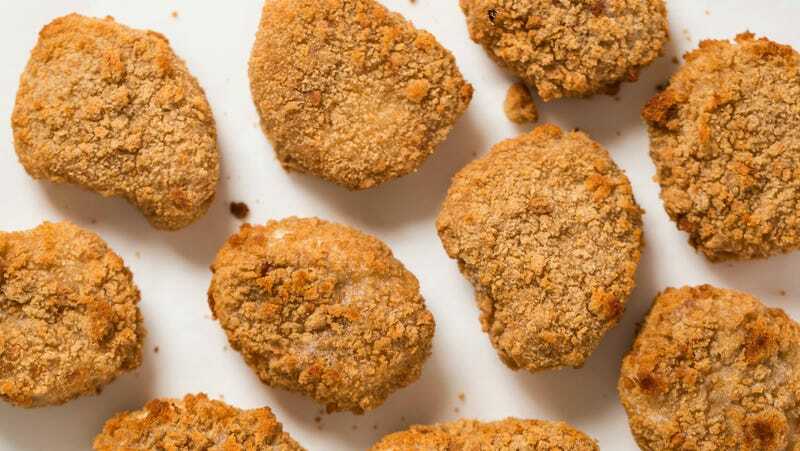 According to the U.S. Department of Agriculture’s Food Safety and Inspection Service (FSIS), the recall was prompted by three customers complaining to Perdue Foods about finding wood in their nuggets. FSIS received a similar complaint as well. At this point, though, the agency has not received any confirmed reports of injury from eating wood-laden nuggets. The recall will affect a batch of “SimplySmart Organics Gluten Free Chicken Nugget Products” produced on October 25 last year. They have an expiration date of October 25, 2019, and a UPC barcode of “72745-80656.” They can also be identified by the establishment number “P-33944” that’s located inside the USDA mark of inspection. The announcement of a recall by the USDA might seem unusual, given the ongoing partial shutdown of the government. But while many of the agency’s functions have been shuttered, including its maintenance of the USDA website, there are still priority areas that are being kept open, including food inspections of meat and poultry and recall announcements. The Food and Drug Administration has similarly resumed inspections of high-risk foods like soft cheeses and certain seafood products this week, after it had initially shut down all routine food inspections. That necessarily doesn’t mean the protection of our food is in fine shape, mind you. The FDA is in charge of regulating around 80 percent of the country’s food supply, and high-risk foods only account for a third of all inspections carried out by the agency. Many of the workers that have been retained or brought back by the FDA and USDA are also working without pay. How Does a Euthanasia Drug Keep Ending Up in Dog Food?